Did you know that making your home more efficient this year can entitle you to a 10% tax credit (for a cost up to $500)? Lightfoot Mechanical can help you boost your home’s energy efficiency and qualify for the 2011 tax credit through upgrades to your HVAC system, adding a solar water heater, or by installing a new energy-efficient heating and cooling system. Our energy-efficient Lennox systems meet the necessary requirements; call us today to discuss which option is best for you! 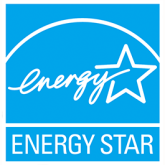 Read more about the 2011 tax credit for “greening” your home at the Energy Star website. An air source heat pump must meet or exceed 15 SEER and 12.5 EER and 8.5 HSPF, in order to qualify for the tax credit. Package heat pump systems must meet or exceed 14 SEER and 12 SEER and 8 HSP. Note: Every taxpayer’s situation is different. We can’t guarantee eligibility for the tax credits. But your ACCA member contractor can help you figure out what equipment qualifies and how it can work for your comfort, health, and pocketbook. For your health and safety, have your heating system checked by a competent professional at the beginning of each heating and cooling season. Check your filters monthly. Replace or clean them as needed. When selecting a heating and air conditioning system, it’s important to not only think about the initial purchasing cost, but also about how much it will cost to operate over the years. That’s why a high efficiency comfort system makes so much sense. Leaving your thermostat fan switch in the ON position so it runs constantly; actually helps filter the air in your home. And, because the air is constantly moving, you get a more even temperature and better humidity control. Cover the ground in your crawl space with plastic to keep unwanted moisture from coming up into your home from the ground underneath.